Searsport, Maine is located at the Head of Penobscot Bay, enjoying a rich history of shipbuilding and maritime industries. At one point, Searsport had as many as 10% of the ship captains in the country residing on it’s shores, leading to a wealth of old ship captain mansions up and down the coast. Downtown Searsport hasn’t changed much in 100 years, with many of the buildings being built before 1850. Our history is as rich as the community we live in, and we work hard to retain that history for the generations to come. At the Penobscot Marine Museum you can take a trip through the past and learn about the maritime history of Searsport and the surrounding areas. Sporting acres of old historic buildings, archives, relics, presentations, and knowledgeable guides; the museum is at the heart of our small town. We invite our visitors to take a trip through the past and learn about our maritime heritage. 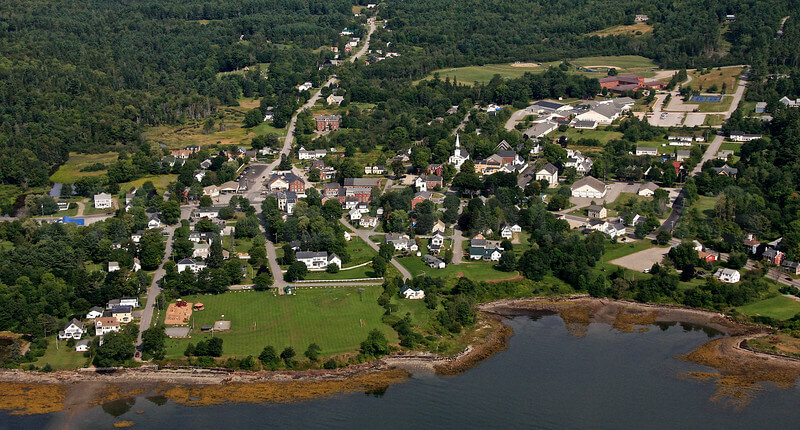 Searsport is home to Searsport Shores Oceanfront Campground, The Homeport Inn, and the A.V. Nickels Inn; which all come highly recommended by us. We have the beautiful Mosman Park just a short walk from downtown, right on the water with a nice sandy beach. Just a mile or so up from downtown is the turn-off for Sears Island, the largest uninhabited island on the Eastern Coast. This is a wonderful 940 acre refuge, with permanent causeway access. No motor vehicles are allowed on the island, however bicycles, and hiking are encouraged. Come on out for a week or two, see the slow-down of life, with a nice retreat from the busy life. We will be happy to guide you to our favorite spots, and of course, serve delicious local fare, and old-world baked goods.